Halloween can be a fright when trick-or-treaters flock to your property. But taking reasonable steps to safeguard your home and having the right homeowners or renters insurance makes it easier to get into the spirit of things, according to the Insurance Information Institute (I.I.I.). Vandalism: In the event your home or your personal possessions are damaged by neighborhood tricksters, homeowners and renters insurance policies provide coverage for vandalism and malicious mischief. Injuries: The liability portion of a homeowners or renters policy comes into play if a trick-or-treater is injured while at your home. This would provide coverage for legal expenses and possible judgments against you—up to the policy limits. Your policy also includes no-fault medical coverage so the injured person can file their claim directly with your insurer—without having to sue you. And if your dog gets a little skittish from all the commotion and accidentally nips a trick-or-treater, your liability coverage includes damages or injuries caused by pets. Keep electrical wires tied down so that scampering trick-or-treaters don’t stumble. Many long trailing costumes put kids at risk of tripping, especially if they are wearing masks and are unfamiliar with the property. Electrical cords should be securely tied down and out of the path. 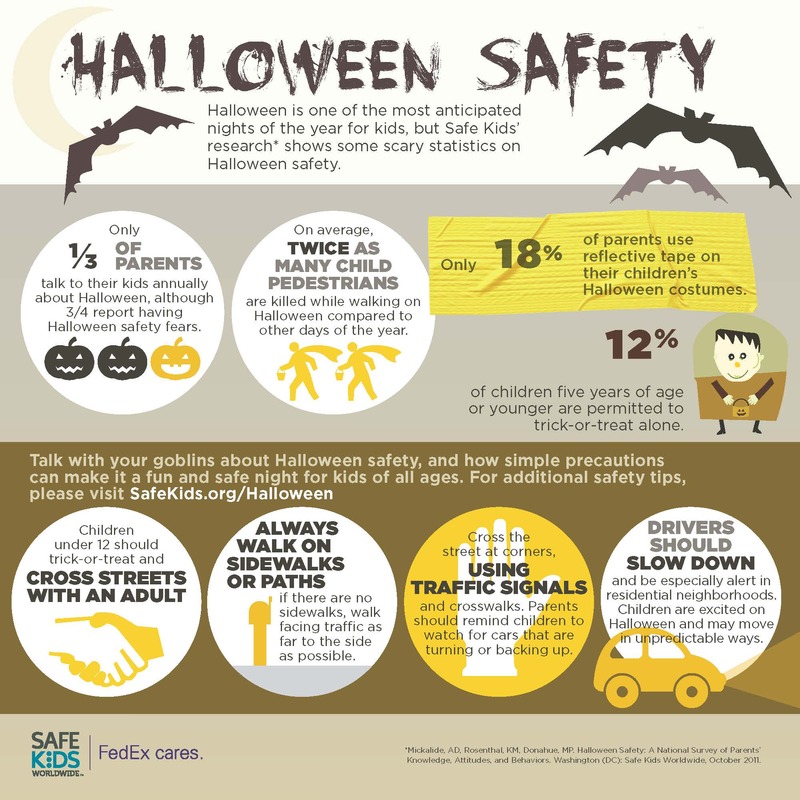 Check out this Infographic from Safe Kids Worldwide and for additional Halloween safety tips check out these tip sheets from the Centers for Disease Control and Prevention (CDC) (Spanish version) and Safe Kids Worldwide (Spanish version).